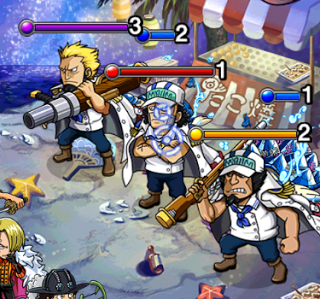 It's recommended to use Rainbow Class-Crews or DEX-Crews for this fortnight because most of your enemies will be QCK, including the Boss. 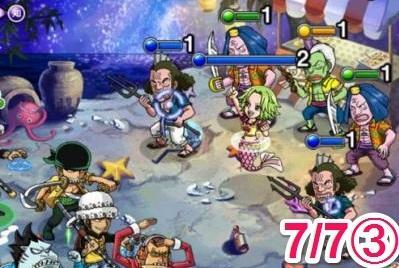 Be Warned: You may use Golden Pound Usopp for this fortnight, may not (depends on boss version). Hit multiple times 50.000 damage throughout the run. CONDITION: Units of a cost of "49" or lower allowed. That means your evolved raidbosses or all the Legends won't fit here. He's fairly tanky and strong so be warned! Hatchi will change your orbs to [Bother], [Meat] or [Heart] orbs after the first attack (and again after 2 turns). 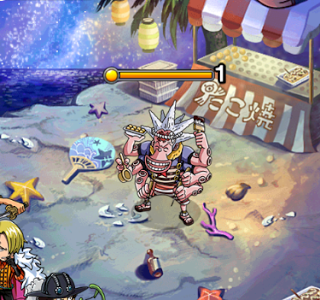 He has a 1-Turn attack interval and will use his special if you get him to 20% health of below. 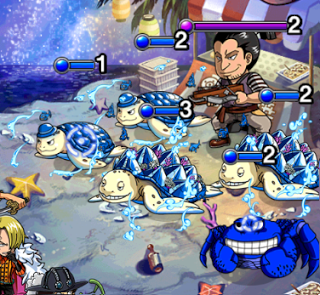 Special: Blinds you for 10 turns which will make your fight against Camie a lot harder. 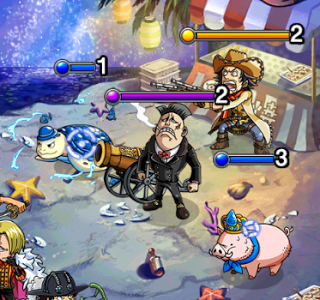 Camie isn't the real problem in this stage... 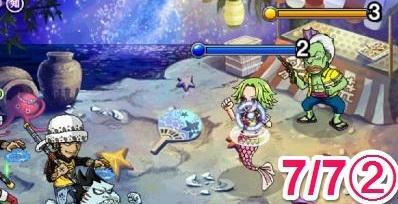 It's that fishman at the back. He hits hard! Like 12,000 damage hard. He's also much tankier than normal mobs so focusing him first is a good idea. The 999 Debuff Blocker ensures that your Hammer Usopps are worthless at this stage. Preemptive: Change all slots of [Force], [Heart] or [Technique]; Increase the occurrence of [Force] orbs for 999 turns. Tipp: Use Fixed damage special here. Pappug is easy to defeat. Just get rid of his bodyguards first. One of the Captain could be any 2.5x DEX captain ( e.g. Trafalgar Law). 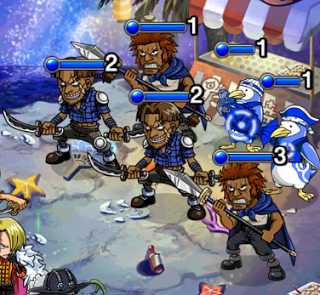 Team is easy to handle this Fortnight and you will have a lot of spare amount of HP over. 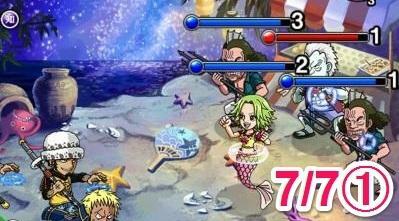 Bon Clay can be switched out for any Fighter ATK boosting captain. 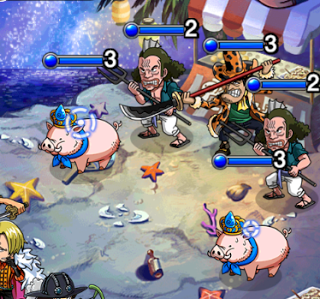 Overall this units specials can bring you the victory in 1 or 2 turns at boss stage. With Namule captain you will be a bit tanky, while Bon Clay may not have so much power. So you utilize your ATK and survivability with specials.